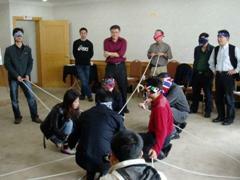 A series of successful trainings in 2005 for PATAC lead into a full-range cooperation between CBI and PATAC. 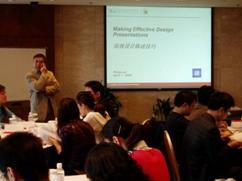 With the topic of "Happy Design", CBI tailored a set of company-specific trainings for PATAC's design team. Two carefully designed training programs have been facilitated by elite trainers from CBI's international network in the first half of 2006; one is on Design Presentation Skills, the other on Managing a Creative Team. The after-training survey showed that 85% of the participants felt rewarded by the training content and 80% were satisfied with the training organizing. "I highly appreciate this training because it was taught in a straightforward and easy-to-understand way. For instance, the analysis of a simple case enables us to understand the profound truths and knowledge." "It has allowed me to break the yoke of current thinking, allowing me to review and consider ways to enhance the effectiveness of my team from a new perfective." "The theoretical guidance and case analysis provided by the training has greatly helped participants in facilitating their work." "It never comes to my mind that study can be so happy!"